“Senbonzakura” can be translated as 1,000 cherry trees. 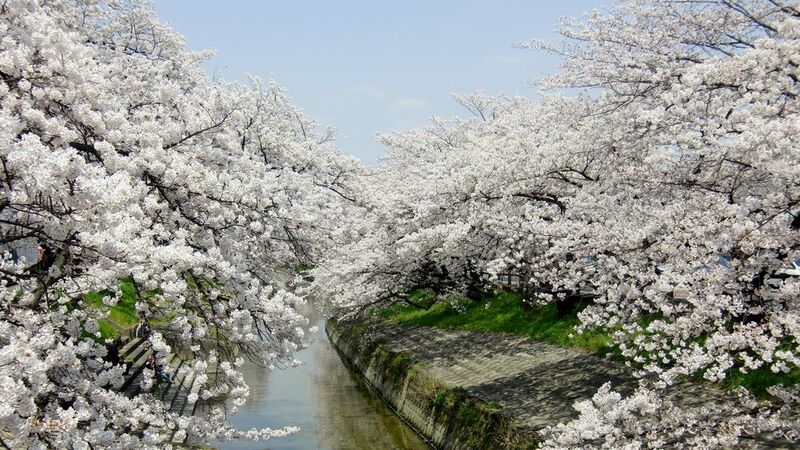 From late March to early April, a thousand cherry blossom trees bloom along the river in Takada city. A pale pink “sakura” tunnel stretches around 2.5km to Onaka park. These cherry trees were planted by civic volunteers after the war in 1948 when the city was established. In the evenings, the cherry blossom looks even more glorious with the paper lanterns lit to illuminate the blossoms.